It’s not happening to acknowledge a particular anniversary; nobody significant -fictional or otherwise - has died, so that isn’t the reason for this global fight festival either, and my fervent research has yet to uncover a significant milestone being surpassed, so why are they even holding it at all? But putting unfortunate, lame some may argue, uninspiring intro’s aside for today, (is there anyway I can possibly big this up?) November 4th 2006, is (eeeeuuurrrggghhhh, straaaaaiiiiiiiinnnnnnnnn, g’ah. Nope, can’t do it) Worldwide Dungeons & Dragons Game Day. Sigh, let the battles commence! From Fun Designs, 3ra Ave. 2da calle Media cuadra abajo del mercadito china Casa no. 513, Honduras to Fantasiapelit, Kuninkaankatu, Tampere, 33210, Finland to Rich-Rach, derech a'yam 3, Haifa, Israel participants will be mercilessly slaying Kobold Warriors and opening thick, wooden doors only to be smothered by the thick, fetid stench of a (insert the correct collective noun here) of Troglodytes. Basically, if the Dungeon Master can imagine it then players will have to deal with it and in the aforementioned scenarios they would be perfectly justified in wasting the beasties with their swords, maces or both. Another point worth mentioning too: it may not be cricket elsewhere but it is perfectly acceptable to loot the corpses afterwards. For weapons, armour and whatever else they carried. They would have had a spell cast on them anyway; they would be well within their rights. Silliness aside, Dungeons & Dragons is now pretty much the tabletop role-playing gamer’s tabletop role-playing game. It was created by Gary Gygax and Dave Ameson way back 1974 and for over 30 years now it has set the standards by which all other games are judged. Its initial rapid success led many to attempt to imitate it, but its simple rules and playing style has now gone on to influence such established incarnations as Warhammer and White Wolf, but also more well known titles including the Star Wars version of the game. Role playing games of this period were influenced by, and largely came about because of the popularity of re-enactment groups in the US during the 1960s. Early board games from the beginning of last century used the same scenarios and even today murder-mystery games encourage participants to think and act in character so if you that had a fixed perception of those who participate in these games had better get down of our high horses and walk a little - we all do it. 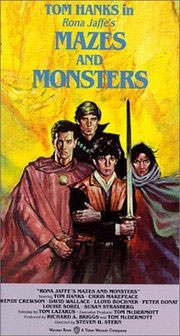 The Dungeons & Dragons game (as a role-playing game) is a fantasy game of the imagination. It engages its players in adventures involving part acting, part storytelling, part social interaction, part war game, and part numerous die rolling. The individuals bring their established characters to a game – either new or a continued adventure - and the Dungeon Master sets them tasks in the form of adversaries or any number of scenarios. As the game largely revolves around the imagination of its players, the number of scenarios can be pretty much endless. And that is pretty much it. I had a go online and got battered through an unfortunate series of events and a Dungeon Master I can liken to an old P.E. teacher. Although there have been numerous versions of the game released over the years the game of Dungeons & Dragons has enjoyed numerous trails and tribulations of its own (see what I did there?) throughout the years. In the early 1980’s the whole role playing industry suffered massive amounts of negative publicity after a teenager’s suicide was linked to the game. The death of Bink Pulling led to the formation of the group Bothered About Dungeons And Dragons (B.A.D.D.) which was led by his mother Patricia. She accused Bink’s teachers of putting a curse on her son through the game and bought a lawsuit against the school that was subsequently thrown out of court. She went on to form B.A.D.D. and the group vociferously spoke out about all role-playing games. Her campaign gathered enough momentum to get airtime on television and radio and as a result thousands of teenagers suddenly lost a reason to communicate with their friends when their games and books were thrown away. The game’s popularity nosedived rapidly during this period. The B.A.D.D. campaign gathered pace and the religious-right became involved accusing the games designers of encouraging Satanism and encouraging occultism among its players. Players of the game need not have taken it too personally though. Many hard rock acts of the time were accused of the same thing and records could be heard playing backwards the world over to look for even the remotest hint of devil worship. The same witch hunts persist today with the Harry Potter books. Role-playing games increased in popularity again during the 1990’s. Factors including the fall of Communism led to the game briefly increasingly its popularity in Europe, but the arrival of affordable computer consoles and games that incorporated role-playing elements led to a further decline in the popularity of the table-top games. Increasing printing quality led to an increase in consumer demand for high-quality game-related merchandise, but at the same time players seemed unwilling to pay for the improvements in the quality of books, magazines and cards. The early rise of the internet also allowed players to access materials for free through FTP site which led to the games producers becoming involved in litigation with its customers. This split in the player’s interests led to the decline in the game’s popularity as its customer's interests were simply split; there were far too many expensive choices and urgent changes in the production and distribution of the game were called for. 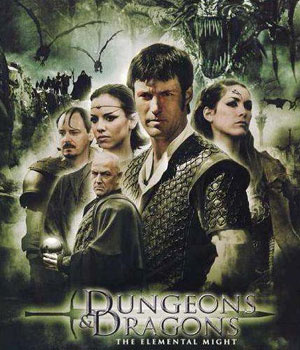 Early in the year 2000 Dungeons & Dragons was licensed to independent manufacturers to split the costs of production and distribution. Other manufacturers quickly followed suit and with many varieties of the same game available, increased competition among producers meaning lower prices for the consumers combined with the increased availability of the internet at home, the game has recently enjoyed an upturn in its popularity and it now has over 20 million regular players worldwide funding an industry to the tune of over $1billion. Consider how many people you know who play the game and this is quite an impressive figure. Despite the negative publicity the game endured during the 1980, its growth then subsequent downturn in popularity during the late 1990s the Dungeons & Dragons and role-playing game phenomena will be with us forever now. The negative publicity it received during its early years has left an indelible mark on many non-players. Many people assume the game’s player to consist of nerds and geeks and loners as that was how the media chose to portray teenagers who were neither overly popular, obsessed with shopping or Johnny Quarterback during this period. Who can possibly forget those two loveable rogues from the movie Weird Science?